All-purpose tubular ideal for rough terrains like cobblestones, or not perfectly paved roads, its tread guarantees the best grip for these kind of road surfaces both wet and dry, the larger 25mm width will reduce the risk of flats, all these qualities in a contained weight of only 280g. A fine pro-competition or everyday high performance tubular with outstanding grip and low rolling resistance. Its tread supplies great cornering stability and traction control both on wet and dry roads. The new 320 TPI corespun casing will give you the best available weight, lowest rolling resistance and comfort. 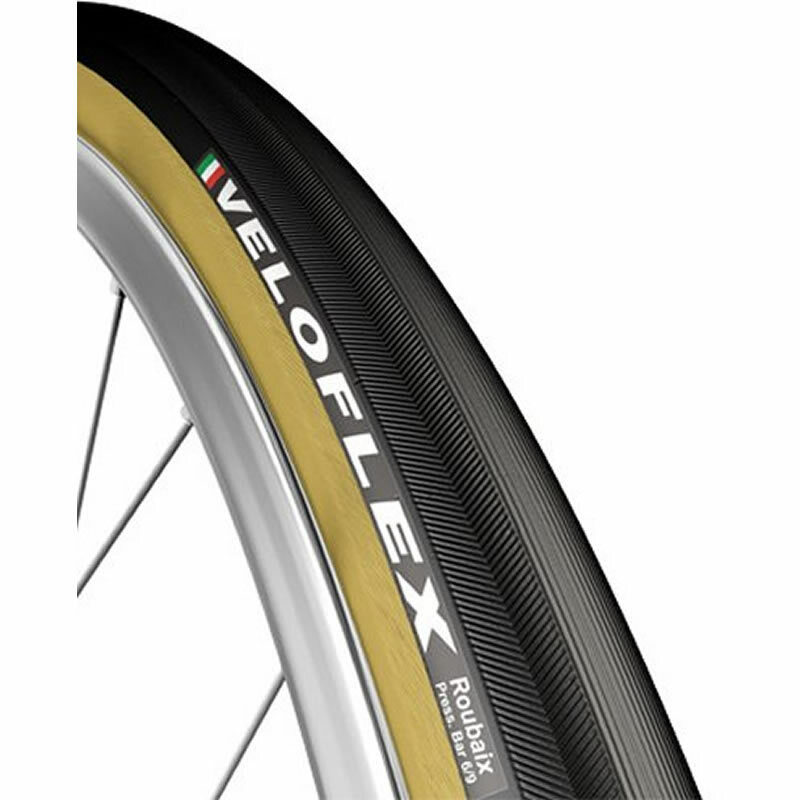 Roubaix is available in classic black / gum sidewall only. Constructed utilizing a latex inner tube for the utmost in low rolling resistance. Casing features a Calicot puncture resistant layer under its natural rubber tread to help ward off road hazards.